LFC Foundation has launched its own matchday lottery, which will be available to fans ahead of the opening Premier League game of the season on Sunday. Former Reds striker and chair of Forever Reds, John Aldridge, is supporting the launch and encouraging fans to take part. 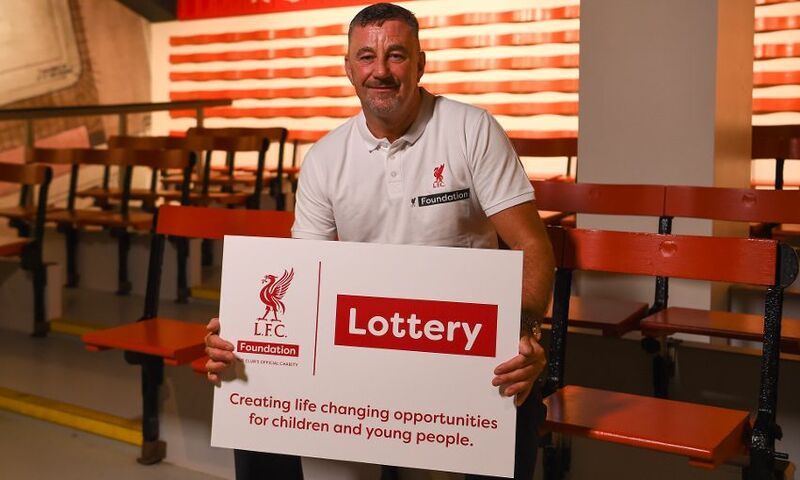 “LFC Foundation Lottery is a chance for fans to win huge cash prizes, signed merchandise and money-can’t-buy experiences, while also supporting young people in need through the charity,” he said. Tickets are priced £2, and every purchase helps LFC Foundation to achieve its mission of creating life-changing opportunities for children and young people. All net proceeds raised from the LFC Foundation Lottery are equally split between a single jackpot winner and the club’s official charity. Last season, LFC Foundation supported more than 15,500 children and young people, helping to improve their health, wellbeing and overall chances in life. The LFC Foundation Lottery will also provide opportunities for fans to win exciting LFC prizes throughout the season, including match tickets, signed merchandise and even a chance to meet Jürgen Klopp at the LFC Foundation VIP Gala Dinner in November. Fans in the UK can participate by purchasing tickets online in advance of each Liverpool home game, and also from LFC Foundation Lottery staff in and around Anfield on matchdays. The winning ticket will be announced after each game on LFC Foundation Lottery social media channels (Twitter, Facebook) and also published on the LFC Foundation Lottery webpage. For more information, and to purchase your ticket online, visit www.liverpoolfc.com/lfcfoundationlottery.